Infolinks drives new revenue for publishers by delivering intent-based ads in non-traditional web places. Select from a range of elegant and innovative ad units that best suit your needs, fully customize their appearance and easily add them to your site with 1-minute integration plugins. Capitalize on browser margins with attractive display ads. Engage users with an overlay ad unit most relevant to the user’s intent. 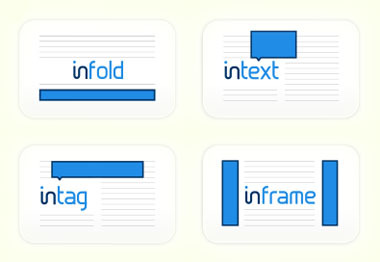 Display a tag cloud of keywords relevant to your content. Monetize inside the lines by highlighting your best keywords. SignUp Now and earn money from your website with infolinks.